**Please Note. 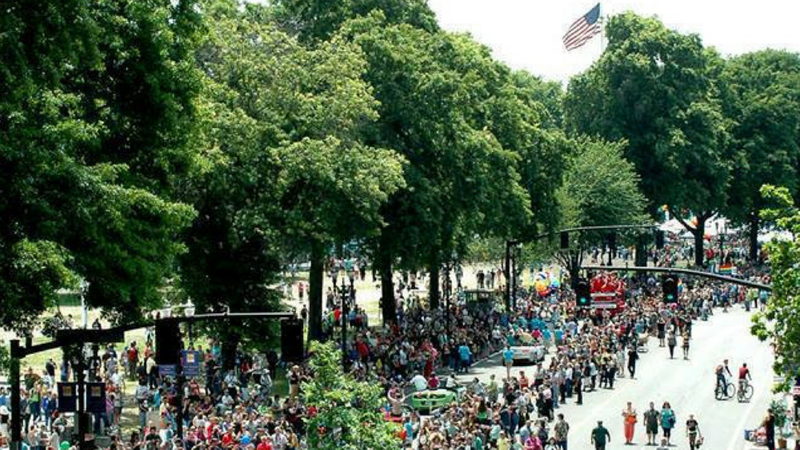 Demand for Portland Pride has grown consistently and is unprecedented this year! Registration for the Portland Pride Waterfront Festival and Parade is closed. Please mark your calendars-registration typically opens on or about March 1 each year. This year, the parade filled up in just ONE WEEK! Best known for the annual Portland Pride Waterfront Festival and Parade—one of the largest Pride celebrations on the West Coast—Pride Northwest also works to celebrate and support the whole of the Pacific Northwest’s LGBTQ+ community year-round. We bring visibility to the Pacific Northwest LGBTQ+ community, celebrate our history and accomplishments, and educate everyone about these things and more! get your 2019 vip tickets! Founded in 1994, Pride Northwest is a 501c3 nonprofit organization serving Oregon and SW Washington. We are located in Portland, Oregon. Best known for the annual Portland Pride Waterfront Festival and Parade, the mission of Pride Northwest, Inc. is to encourage and celebrate the positive diversity of the lesbian, gay, bisexual, and trans communities, and to assist in the education of all people through the development of activities that showcase the history, accomplishments, and talents of these communities. Pride has been held in Portland, Oregon since the mid-1970’s. The Portland Pride Waterfront Festival and Parade is one of the largest Pride celebrations on the west coast, and one of the largest donation-based Pride festivals in the country. Each year, tens of thousands of LGBTQ+ and allied people come together, to celebrate, be visible, and to demonstrate the strength of our community. 150+ local, regional, and national organizations, agencies, and businesses fill Waterfront Park, while amazing LGBTQ+ talent provide amazing entertainment throughout the weekend. No one is turned away from Portland Pride for lack of funds. The Portland Pride Waterfront Festival is possible through the generous support of our community. You can support keeping Portland Pride accessible to all through our Gay It Forward program. Click below for more information! The Portland Pride Waterfront Festival and Parade is, of course, our largest and most visible program. However, Pride Northwest is active year-round! Pride Northwest hosts a week-long series of Pride events every June, capped off by the Portland Pride Waterfront Festival and Parade, one of the largest Pride celebrations on the West Coast! Each year, Pride Northwest supports a variety of community organizations and efforts. Support includes the Imperial Sovereign Rose Court, the Audria M. Edwards Scholarship Fund (Peacock in the Park), and community Pride celebrations around the region. In addition, we support the annual Oregon Queer Students of Color Conference, the Queer Youth Summit, Q Center, the Equi Institute, incarcerated LGBTQ+ youth, and more! Pride Northwest believes strongly, not only in the amazing talent and potential of our queer youth, but also in our responsibility to support, mentor, and celebrate them as well! Among various efforts, Pride Northwest strives to build bridges between LGBTQ+ generations, support and uplift incarcerated LGBTQ+ young people, as well collaborate with a variety of organizations and agencies around the region who serve our youth. In partnership with GLAPN and other LGBTQ+ community historians, Pride Northwest launched the George Nicola LGBTQ+ History Fellowship in 2018. Named in honor of Portland LGBTQ+ community historian George Nicola, the Fellowship fosters research and and preservation of LGBTQ+ history through financial support and the mentorship of LGBTQ+ and allied historians in Oregon.